Farm schools are springing up all around the globe for aspiring farmers from non-traditional backgrounds. Here we profile four: in Ireland, Massachusetts, California and Japan. Farming has traditionally been a family affair, with skills passed from generation to generation, often through informal internships or years of apprenticeship. The problem with this model is that, today, many farming hopefuls don’t come from a farming background. They may be farmers market junkies and CSA devotees, but the closest they’ve come to plowing a field is planting an herb garden on their apartment’s rooftop. How to make the leap? 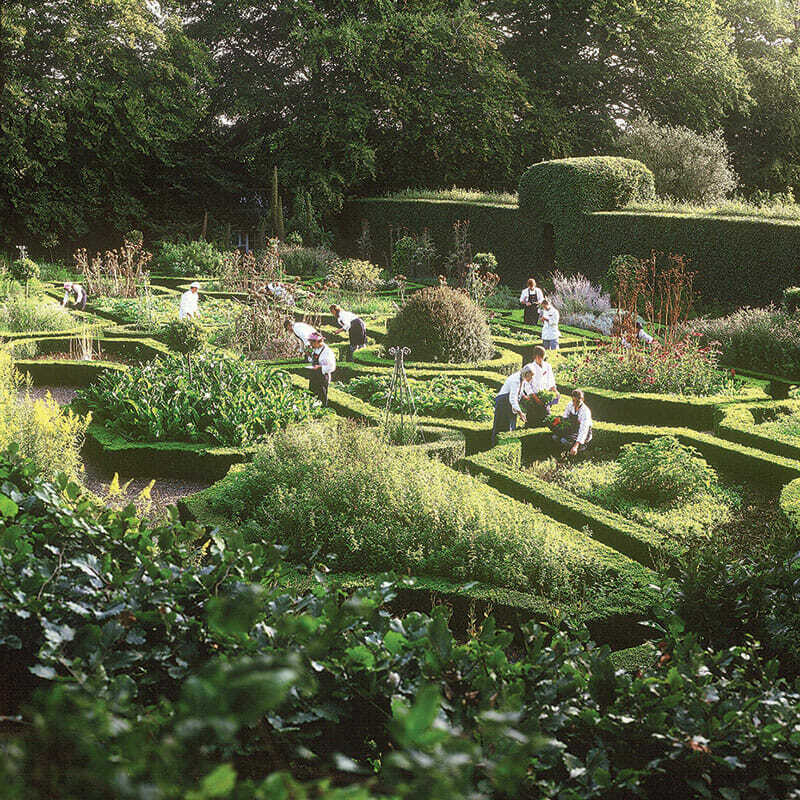 Many choose the volunteer or apprenticeship route, working on different farms, one growing season at a time. But here’s another option: Head back to school. More and more, farm enthusiasts are choosing to pay to attend one of a handful of farm schools located around the world. These schools range from intensive, yearlong certificate programs ($18,000) to culinary-oriented, three-month courses ($13,903). 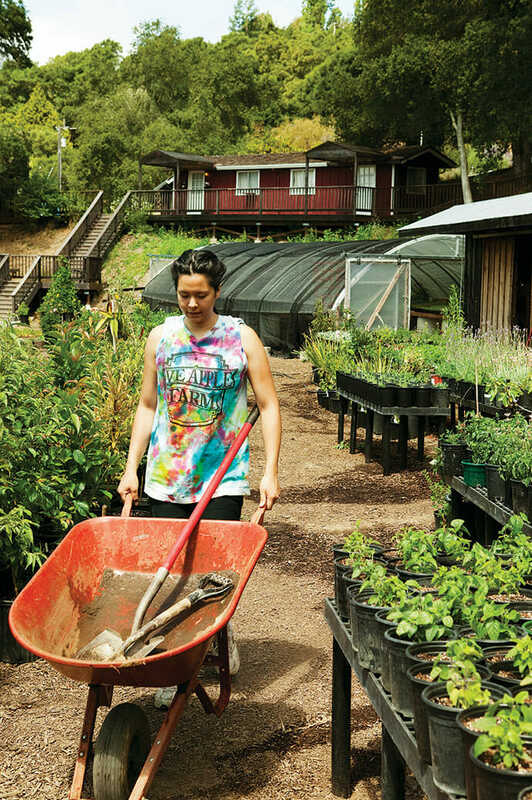 Students range from those serious about starting their own small-scale organic farms to hobbyists, their ages spanning from 18-year-olds to middle-aged career changers. New farmers need more than just classes, though. They need land. This is why some farm schools double as incubators. 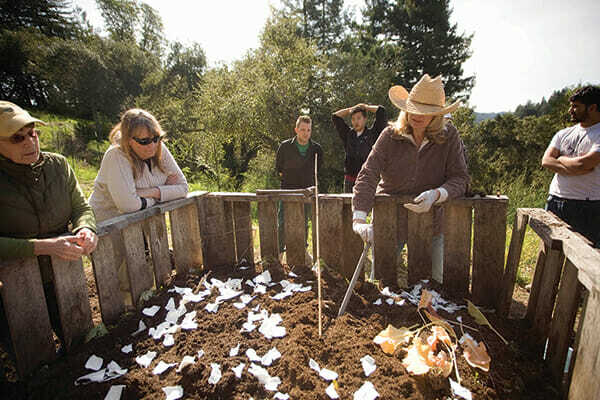 At the Center for Land-Based Learning, for instance, near Sacramento, California, graduates of its 32-week program, California Farm Academy, have the opportunity to lease acres at a deep discount – half off the market rate, $500-per-acre, in their case. The same is true of other schools, like Seattle Tilth in Washington State, and the Minnesota Project’s Women’s Urban Farm Incubator in St. Paul, Minnesota, which aims to ensure its students actually get in the field after leaving class. 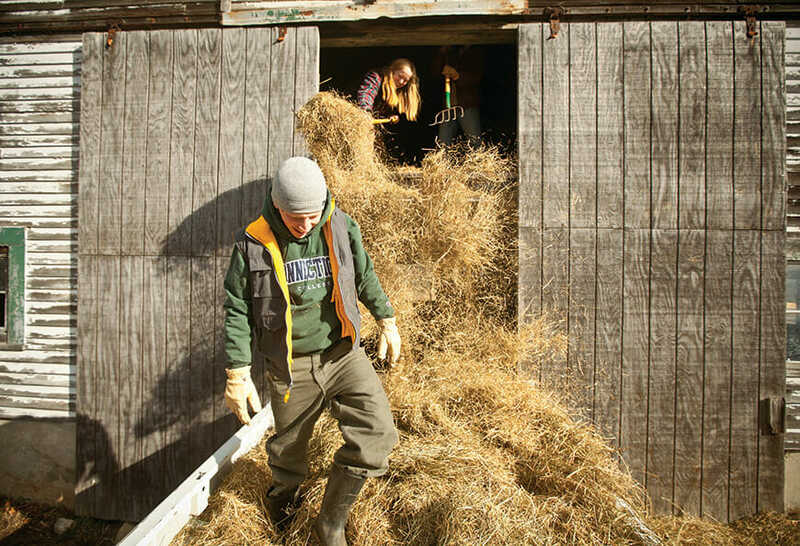 After all, most people who choose to go to farm school did not grow up farming, according to Patrick Connors, director of The Farm School in Athol, Massachusetts. “They’re craving these skills,” he says. 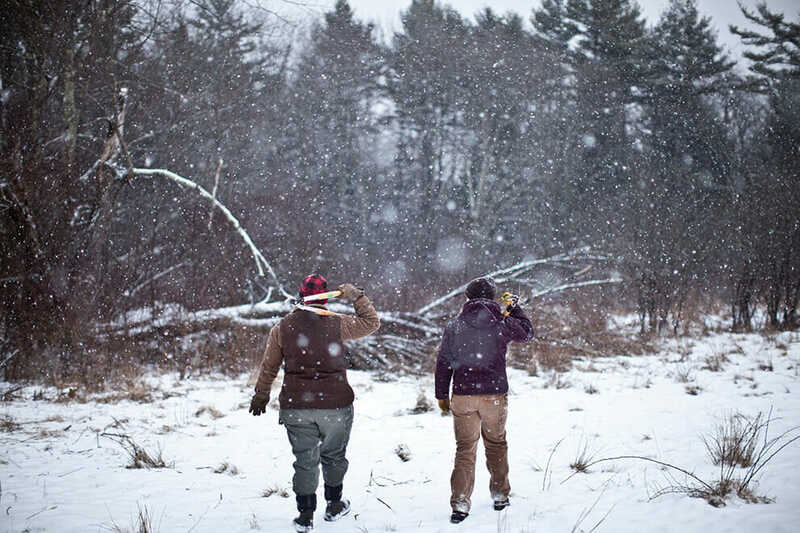 Andrew Harrington collects loose hay; Sarah Habeck milks Patience the cow. 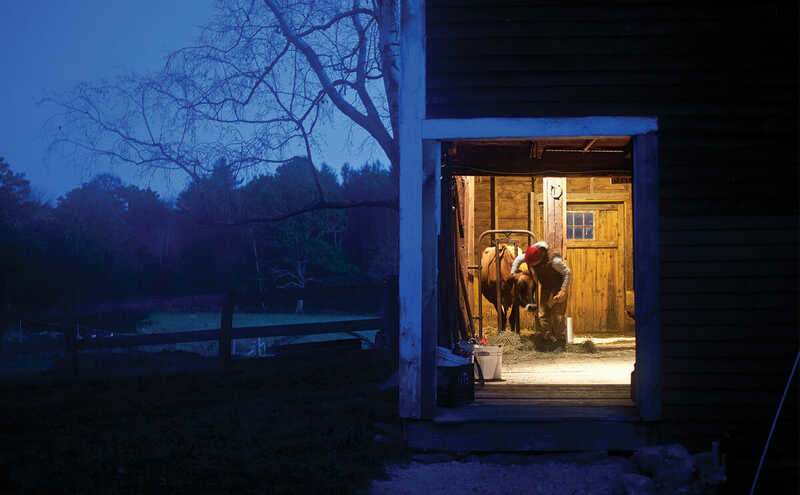 Maggie’s Farm sits on a 180-acre strip of land in central Massachusetts. It’s a diversified learning farm, a place for children to come and experience growing firsthand. It’s also home to The Farm School, an adult training program now beginning its 12th year of operation. Each fall, 15 students arrive for an intensive yearlong program, diving headlong into everything from field crops to animal husbandry to forestry to welding to operating power tools. A significant portion of the curriculum is academic, but the vast majority, says director Patrick Connors, is “hands-on in the muck.” The program clocks in at $18,000 per year. Graduates leave with a certificate and a basic knowledge of what it takes to be a farmer, with skills like hand-milking, tractor use and pest control. Most important, says Connors, they leave with confidence. “They know that they can do it themselves.” About 70 percent of students go straight into farming. 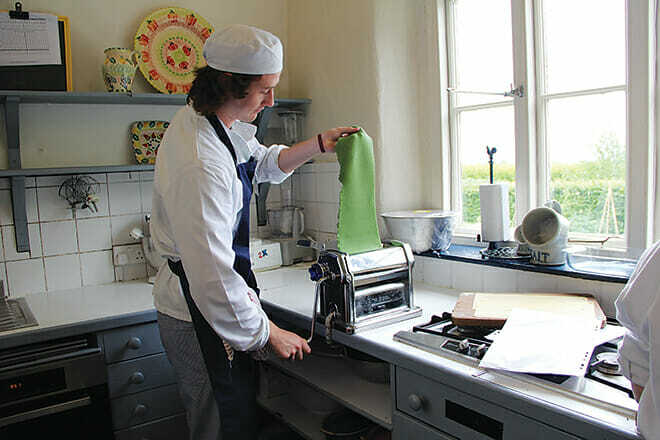 The remaining graduates use their skills as educators or chefs or simply homesteaders. “We’re trying to replicate what dads and moms passed down to their kids on a family farm for families who no longer have that model,” says Connors. With its gleaming skyscrapers and steady stream of white-collar workers, there are few more urban settings than rush-hour Tokyo. But once a week, early in the morning, a less predictable sight can be found on the ninth floor of a tower in the Marunouchi district: a classroom filled with office workers studying how to become farmers. More than 800 students have swapped suits for shovels and completed the popular farming course at Asa Daigaku – which means “Morning University” – since the school launched four years ago. Students attend one-hour classes that begin at 7:15 a.m. once a week, before their working day begins, with additional practical sessions, including rice planting, in the countryside on weekends. Farming has become increasingly popular in Japan since the 2011 nuclear disaster, which triggered a huge shift in public awareness about food safety and a growing trend toward self-sufficiency. “The aim of the course is to promote greater understanding of agriculture and create good relationships between farmers and urban workers,” explains spokesman Jun Yoshimoto. And it seems to be working. “Around five former students are now farmers,” he says. An unintended bonus? Five farmers have gotten married as a result of the classes. A student heads off to amend (or add compost to ) a garden bed. 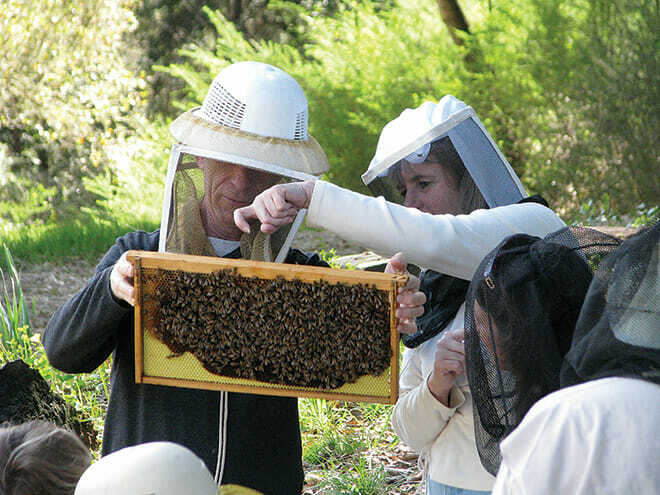 Terraced along 20 acres of the Santa Cruz Mountains in Northern California, Love Apple Farms Gardening and Cooking Educational Center is an oasis of biodiversity less than an hour from the monocropped fields of the agricultural Salinas and Pajaro valleys. The center offers one-off classes with names like “Easy Solar Projects” and “Tomato Masters” but those with something more career-oriented in mind can now enroll in Farmer University. Launching this year, the $14,000, 12-month training program for aspiring farmers promises job-placement assistance. 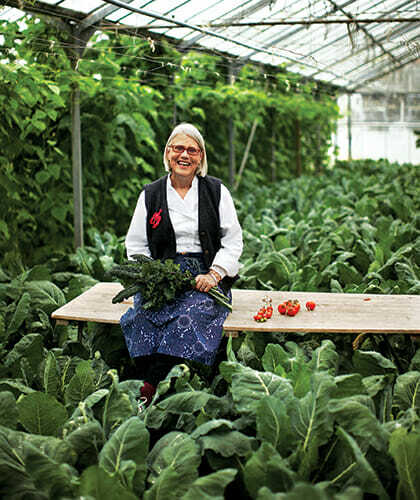 The university, helmed by lawyer-turned-farmer Cynthia Sandberg, has an upscale vibe. It aims to teach students interested in haute cuisine how to cultivate the kind of artisanal produce certain restaurants clamor for. That’s not surprising, considering Love Apple’s biodynamic farm is the exclusive “kitchen garden” of Michelin-starred restaurant Manresa in nearby Los Gatos. Students will receive basic training in vital skills, such as irrigation, composting and soil management. Sandberg will also delve into everything from the hows and whys of biodynamic practices to utilizing wild flowers for erosion control to the proper way to serve exotic menu items such as ficoÁ¯de glaciale, a fleshy, lemony plant rarely eaten in the U.S. but prized by the kinds of chefs Farmer University students may hope to pair up with. Top Photo: Sarah Habeck, a student at the Farm School in Massachusetts, milks Patience the cow. Correction: A previous version of this story stated that farming classes at Asa Daigaku took place every morning. They take place once a week. We regret the error.